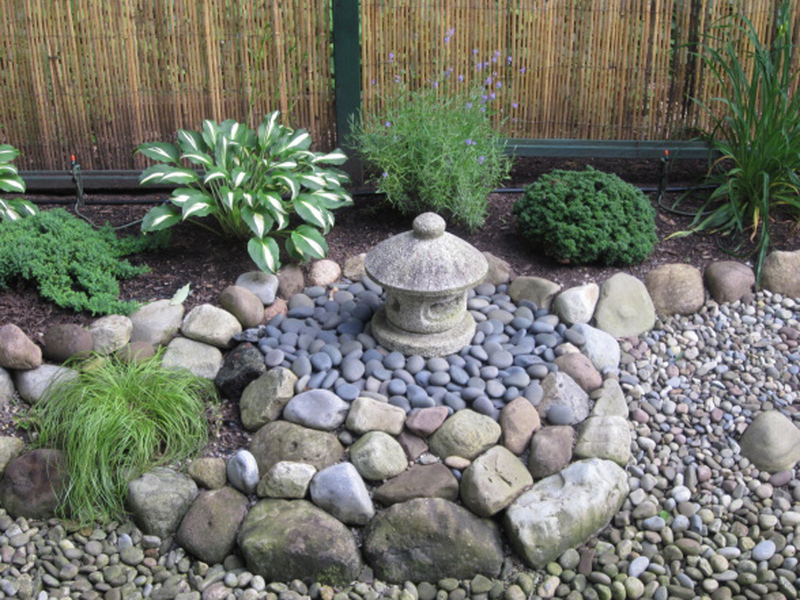 Traditionally, rock gardening involves the cultivation of mountain plants and other low sorts that withstand severe winter cold in temperate climates. 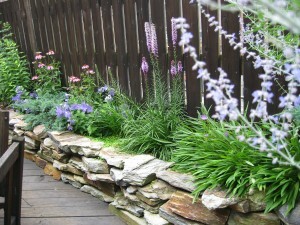 Rock gardens are easy to maintain and are even more pleasing as landscapes. We develop an intimate acquaintance with the plants that are best accommodated in rocks. Rock gardening is a splendid hobby that is not excessively demanding. Because the plants used are chiefly small, many sorts can be accommodated in quite limited areas. This appeals to gardeners with a well developed instinct for aesthetics, providing an excellent way for displaying all of the different horticultural varieties of plants that thrive with these sorts of planters. Another attraction of rock gardening is that, apart from initial construction perhaps, the tasks connected with it are generally light and agreeable. 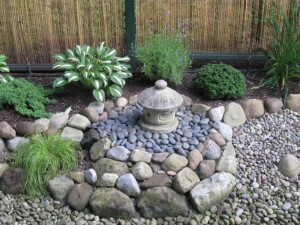 Most people can maintain their rock gardens without much work. No other landscape element has a more powerful life-style altering effect than water in the garden. Water reduces stress, soothes, refreshes, and delights our senses, cools and ionizes the air, and creates inviting spaces for any activity. Not only is water the essential element of all life, it attracts all kinds of life in and near the garden Not only do birds and squirrels love water, our clients enjoy these features as well. 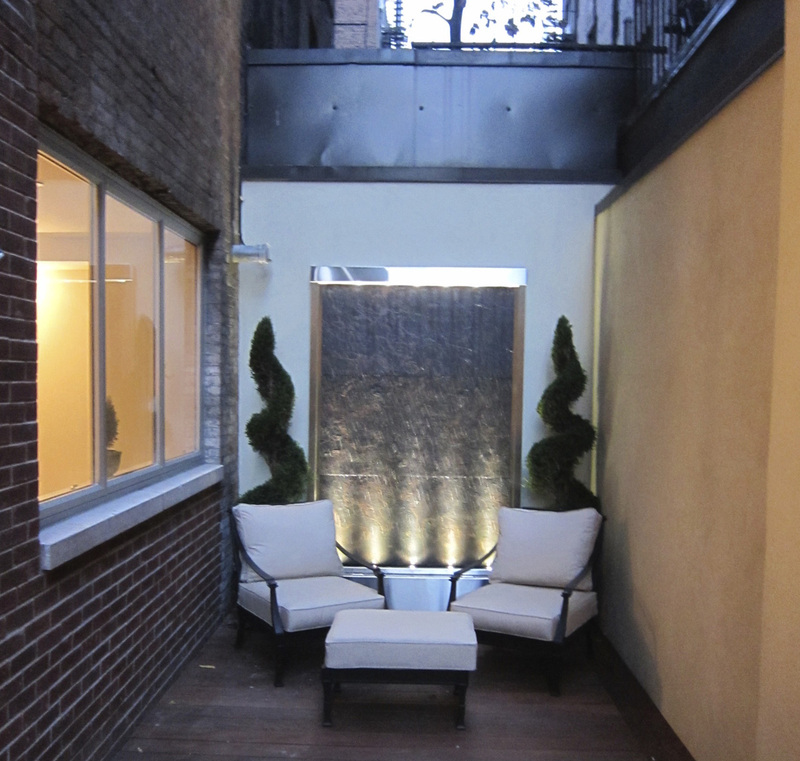 Our designers often include water features as a way to invite wildlife and create ambient noise to drown out the sounds of the city below. The creative uses of water in the landscapes are endless. We’ll help you dream, and then make that dream come true. Butterflies add active beauty to any outdoor space. Invite these “flying flowers” into your garden by offering water, sun, shelter, and host and nectar plants. Shelter on rooftops is important to protect this delicate creature from wind. Water, whether supplied naturally or artificially, provides the butterfly with essential nutrients. Sun is critical to support both the growth of host and nectar plants, and to warm the butterfly, helping it fly. 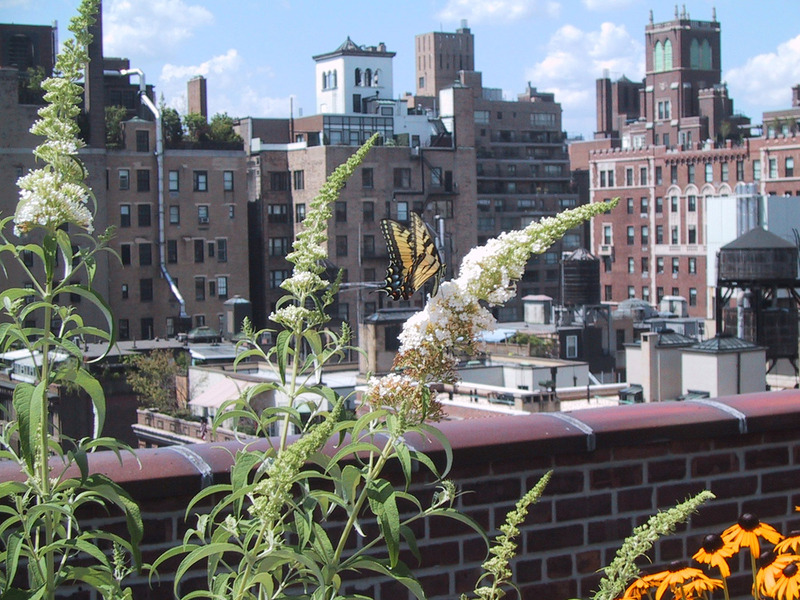 Trellises, rows of dense shrubs or short brick walls can help provide shelter for butterflies. Protected areas also allow for the natural feeding and egg laying of butterflies. Planting flowers that attract butterflies also attracts other insects. All types of bees will show up on plants that are nectar sources for butterflies. Some plants will also attract birds. Zen gardens consist of sand, stones, plants and water and were originally found in Zen monasteries. Nowadays, modern Zen gardens have gained in popularity and can be recreated in your backyard. Trees of any kind can be placed in a Zen garden. Pine, bamboo, flowering plum and cherry trees are commonly used. Different trees have different meanings in the Shinto religion and often represent living long and weathering adversity. 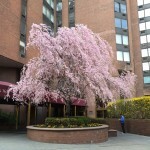 Used for practical purposes, trees add color to a plain garden. Unlike western gardens, Japanese gardens are not symmetrical because they are extensions of nature. Nothing is symmetrical in nature. Similarly, ponds, hills and greenery are asymmetrical since they all come from nature. Religious inspirations, taken from Shintoism, Buddhism or tea ceremonies, can influence the design of a Japanese garden. Traditionally, Japanese gardens are often waterless. Japanese gardens cultivate respect for nature, because they express the forest, the trees, and the water. In other words, a Japanese garden is a reflection of nature in a miniaturized form. 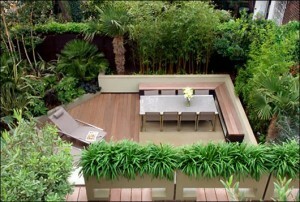 Water conservation through creative landscaping has become increasingly important to all of us. Xeriscape gardening is all about “dry,” low-maintenance and natural landscaping without sacrificing design or beauty. Once established, the plant selections in a Xeriscape garden are heat and drought tolerant and require little maintenance to thrive. 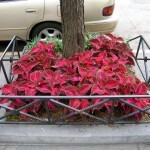 Many xeriscape principles are founded in common sense and good plant culture. 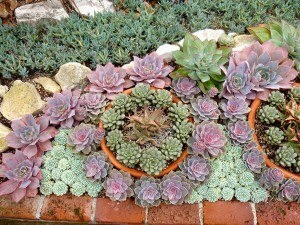 The idea is that plants should be grouped together based upon their water requirements. 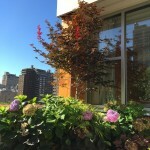 The most effective xeriscape plants can be native plants for the Tri-State region, as they are best adapted to the climate. On some properties, gardens in one area may be irrigated, while a native zone would extend further from the water source. To a large extent xeriscape is part of the movement away from the classic American green lawn. 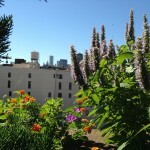 Gardens that grow vertically rather than spreading across the landscape are popular with urban gardeners these days. Their popularity is due in large part to the fact that they allow home owners to grow bountiful crops of produce or flowers in a small area of square footage. You don’t need a big backyard – a vertical garden will work just fine on a small strip of soil on a terrace, rooftop or even on a balcony. But beyond their highly-touted space-saving abilities, vertical gardens have a host of other benefits to offer you. Vertical gardens help shield your home’s exterior against harsh weather conditions and ultraviolet rays. 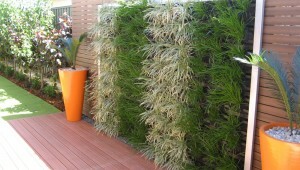 These vertical plantings also act as a form of insulation, increasing the energy efficiency of your dwelling. 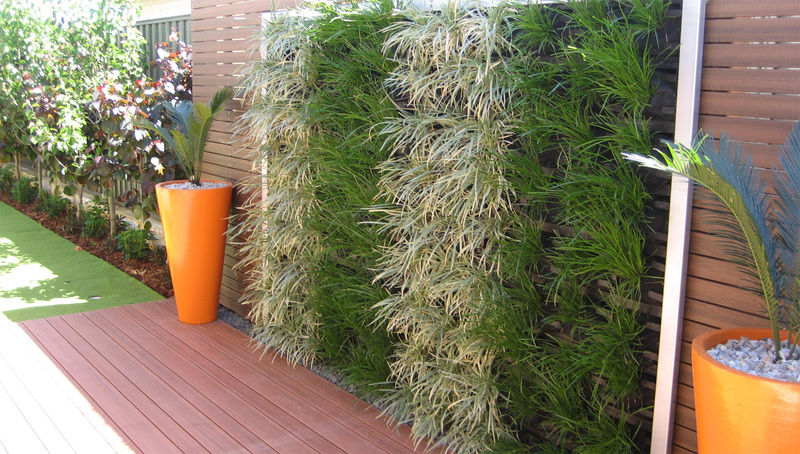 Vertical gardens may be either trained to grow up an existing fence or supported on purpose-built frames or posts. 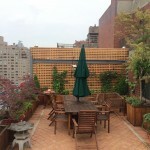 These green fences will offer you not only privacy and aesthetic appeal, but also noise reduction. They can also be used to hide unsightly objects on your property, such as vents or pipes.